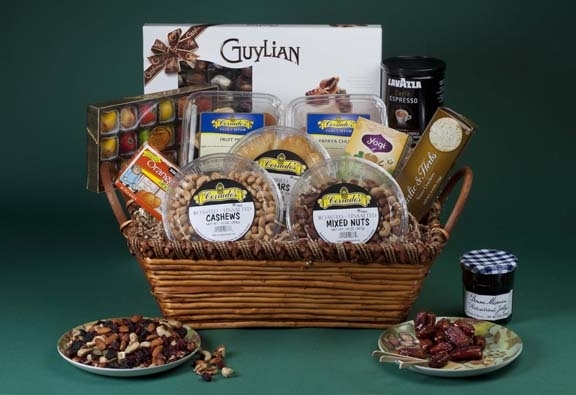 This delightful basket comes packed with an assortment of over 2 lbs. of mixed nuts, 2 lbs. of dried fruit, imported chocolates, tea, jam, marzipan, crackers, and coffee.